The entry of the Ambassador in the workshop! Splitboy and Oval57 got a whole day with the old german metal. 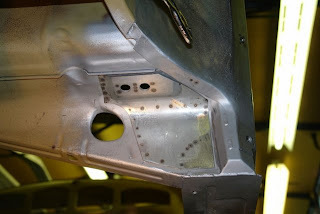 We did weld on his 50`project before we pushed in the Ambassador. We could not leave before we had put the grinder and the welder into the old rusty metal. It was fun! This week we are going to replace a new heaterchannel at the right side.